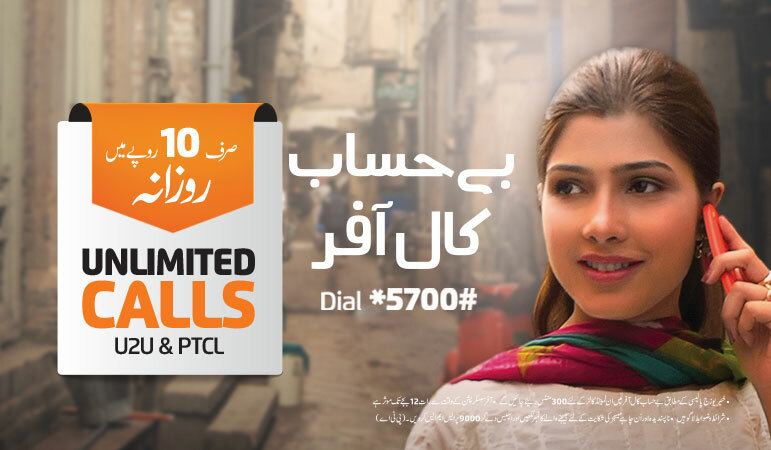 Ufone launches Beyhisaab Call Offer for its customers to call unlimited for the whole day to all Ufone and PTCL numbers in Rs. 10. Dial *5700# to subscribe Ufone Beyhisaab Call Offer in Rs. 10 incl. tax with the validity till 12:00AM of the subscription day. Additional call setup charges of Rs. 0.13 + tax will be charged on every call. For Regional Tax rates on call setup charges, please click here.